In the series five episode ‘The Pandorica Opens’, River Song summons the Doctor and his companion Amy Pond to Roman Britain in 102 AD. where, underneath Stonehenge, lies a fabled prison called the Pandorica that legend tells holds the most fearsome being in the whole universe. However, it is discovered that the Doctor has been put in a trap by an alliance of his greatest enemies to save the universe from cracks in time that were caused by the TARDIS. Amy’s fiance Rory. who had previously been erased from existence from one of the cracks in the universe, makes a return, though he is revealed to be an Auton duplicate outfitted with his consciousness. 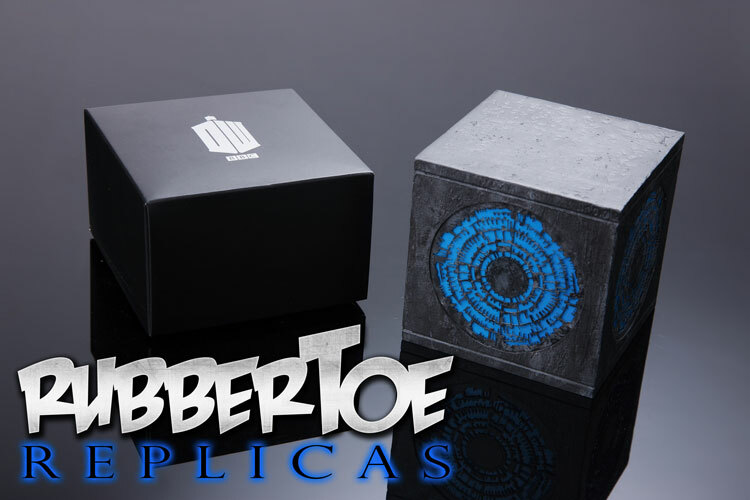 Rubbertoe is pleased to bring you this beautiful small scale Pandorica. which has been sized to fit in with our Tardis Siege Mode Cube and The Power of Three Cube, so it fits in nicely as a collection. 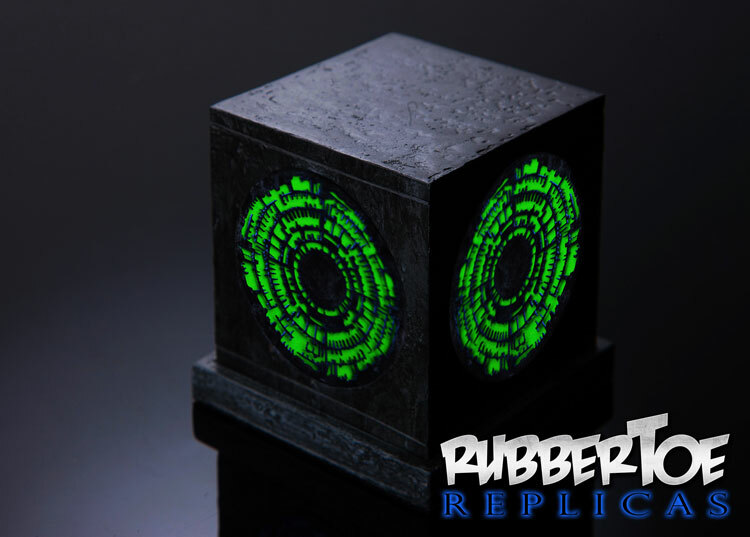 The mini Pandorica is made from cast resin, with a textured finish which is artworked to resemble stone. We have used a glow in the dark vinyl on the faces of the Mini Pandorica, which glows green in low light. We have also used a blue gel on the faces to give a bit of interest and colour in daylight. The Mini Pandorica comes packed in its own Doctor Who themed gift box. Looks kind of pointless to me. Quite pricey too. I always wanted a model of the Pandorica. But those rubbish CDs with the Series 5 figures and a cardboard cutout in DWA were the only ones that ever came out.